The Nike Dri-FIT UV Solar Golf Arm Sleeve is designed to protect exposed skin from harmful UVA and UVB rays. It features a stretch fit and sweat-wicking fabric for comfort that lasts until the final hole. Fabric: Sleeves: Dri-FIT UV 84% polyester/16% elastane. Bag: 100% polyester. I use the sleeves to replace sunscreen. 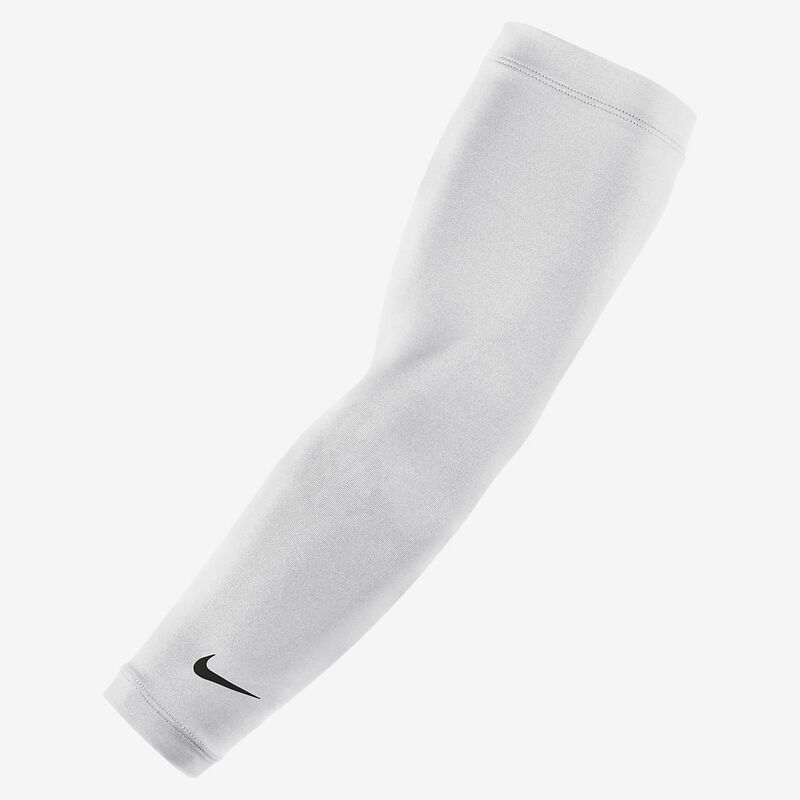 They are comfortable and keep your arm cool and dry. On July 2 at 4:30 pm (95+ degrees and 85% humidity) I hit practice balls for 30 minutes and had to quit. On July 4 I purchased the sleeves and at 4:30 pm, same temperature and humidity, I hit practice balls from the same spot for over 2 hours. The only difference were the sleeves. Coincidence? Nope, they work!